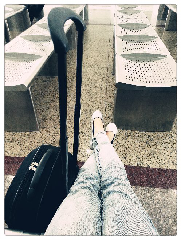 Stuck at train station because I recall the wrong time of the ticket I bought for my trip back to KL. 90minutes++ to go till the train arrives. Ohgodwhy. Pretty much teach me a good lesson to check my ticket next time and do double confirm the time.